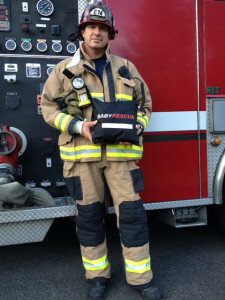 Firefighter owned & operated; specializing in CPR, car seat safety and childproofing. Learn how to help keep your family safe. This is a firefighter led safety and prevention program that will show you basic things that will help keep your family safe while keeping your expenses low. There’s no need to spend a lot of money to keep your family safe. Come learn from the best! If there is a specific prevention program that you would like, but don’t see here, just ask. We will do our best to accommodate any specific prevention requirements that you may have. We also offer small business and corporate training as well. Home Hazard Prevention helps in a variety of ways. Most importantly, we bring our instructors and all the materials necessary for a successful course, to your location on your time frame. The benefits from hiring us are plenty, but most importantly, you get a peace of mind training and awareness. Form actual professionals that use CPR daily, and not someone who is a CPR enthusiast. Since all we hire and utilize are EMS professionals, you get the best training possible. And not just on CPR; we also educate on First Aid, Hydration, injury management, SCA Prevention, Car seat safety, water safety, bee swarms, infant safety, and much, much more. We are here to help you, no matter what your needs and concerns are. Call us today!